For many, the best Oolong tea looks similar to a typical black tea. For others, it is closer to a green tea. Oolong tea, however, is not a black or a green tea. In fact, Oolong tea is a category of tea all by itself. The amount of oxidation during processing is what determines what variety of tea will be produced. Black tea is fully oxidized. Green tea is barely oxidized. Oolong tea is partially oxidized. While this is a general difference, Oolong teas can be oxidized between 8 and 80-percent, depending on the tea master’s particular production style. The amount of oxidation plays a role in the overall flavor of the finished product. One more factor that sets Oolong teas apart from black or green tea is the way the leaves are shaped during processing. Oolong teas are typically curled, twisted or rolled into strands or balls. The final flavor of the Oolong tea is impacted by the shaping technique used. The rolling also contributes to the color, aroma and visual appearance of the tea. 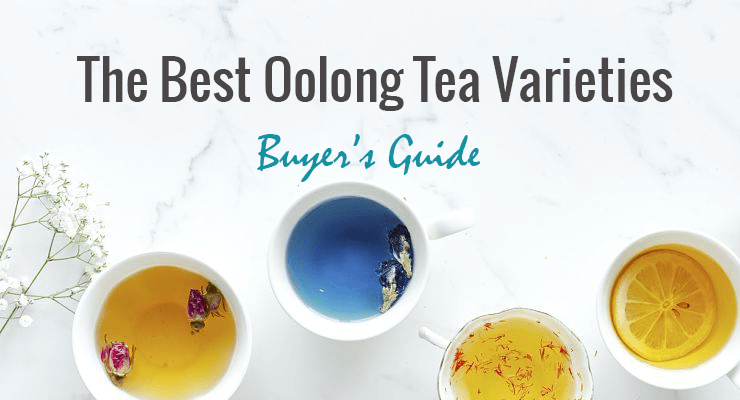 Because there are many different types of premium Oolong tea brands on the market, it can be hard to know which is the best. Founded in 1983, Prince of Peace Enterprises, Inc. is a company well-known for the diverse product line it imports and distributes. The company features gourmet items ranging from beverages and dietary supplements to herbal products, teas, and the world famous Tiger Balm. The company is based in San Francisco, California with branch offices in various worldwide locations. The Oolong tea with the Prince of Peace brand on it has a wooden, aromatic scent with a full bodied flavor. It contains about 40mg of caffeine per serving. Brewing instructions are basic: place a single tea bag in a 6 to 8 ounce cup of hot water. Steep for up to 5-minutes and sweeten to taste. It can also be enjoyed as an iced drink by pouring 2 cups of hot water over 6 tea bags in a large container. Steep for 10-minutes, remove the tea bags and add 2 cups of cold water. Serve poured over ice. This is another well-known tea company with a full line of products that are identified as having a fresh and smooth flavor. 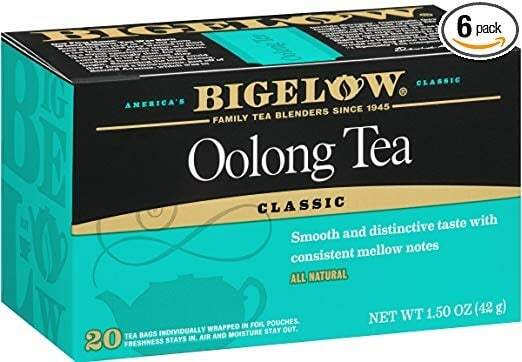 The Bigelow Oolong tea features toasty and nutty notes in a mellow tasting tea. The manufacturer calls this a medium bodied tea beverage. Brew a tea bag for up to 5-minutes in a 6 to 8 ounce cup of hot water and sweeten to taste. This Oolong tea is also great iced. Just pour 2 cups of hot water over 6 tea bags. Steep in a large container for 10-minutes, remove the tea bags, add 2 cups of cold water. To serve, pour over ice. 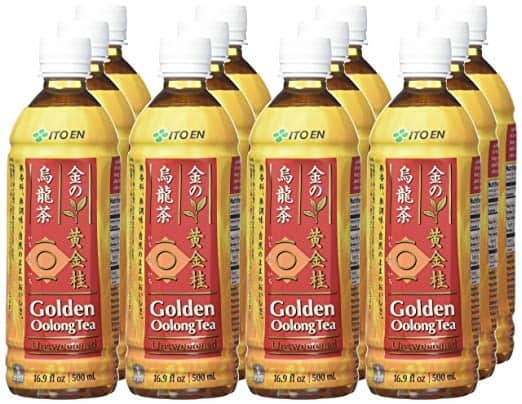 Known as one of Japan’s top selling Oolong tea brands, this pre-packaged tea beverage is available in bottles and features a number of different varieties. This particular one is a blend of the Golden Cinnamon and Iron Goddess tea leaves that are flowery, fragrant and hearty. 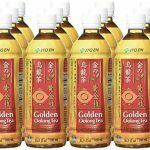 This Japanese tea drink is a robust and clean, unsweetened iced Oolong tea that is ready to drink and provides a bold taste. There are no calories, no sugar added and no artificial sweeteners. This bottled tea drink is rich in the antioxidant catechin which is known to control free radicals in the body. The ingredients in one bottle of this popular beverage are few. Purified water, Oolong tea, and vitamin C are all there is. It is an all-natural, good tasting, healthy and good for your health drink. The bottles contain 16.9 fl.oz/ 500mL and come in a package of twelve. 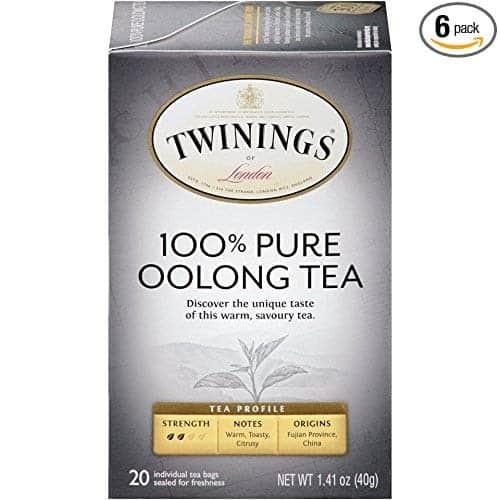 Twinings has been connected to the tea trade since 1706. Based in Great Britain, with processing plants in other countries, this company has produced several well-known packaged teas. The Oolong tea leaves used for this variety were harvested in China. The withering process sees the harvested leaves placed in muslin sacks where they are gently rolled to change colors. This particular Oolong tea leaf is partially oxidized and rolled until the leaves turn dark green or red. The tea brewed by these leaves is gold in color. The taste is described as warm and toasty. To brew, add hot water to a tea bag in a 6 or 8-ounce cup. Allow to steep for between 3 and 5-minutes. Sweeten to taste. This tea is also perfect iced. To prepare, pour 2 cups of hot water over 6 tea bags. Steep for ten minutes, remove the tea bags, add 2 cups of cold water. Serve over ice. Oolong tea leaves grown at high altitude have a distinct flavor all their own. This variety, grown in the Darjeeling region of India, is considered one of the best Oolong teas in the world. That’s because it is grown where many top teas of the world have been produced. 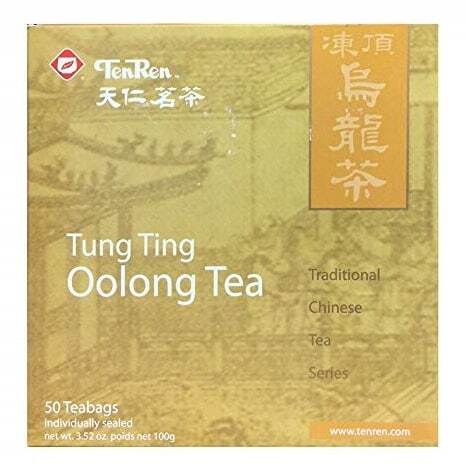 The Oolong tea leaves in this package create a rich flavor accompanied by an exceptional aroma. As the tea leaves in this tea are semi-fermented, they contain high concentrations of antioxidants. In fact, this limited harvest tea is promoted as a detox beverage that can aid in weight loss. Brewing this Oolong tea is easy. In a tea ball or teapot with infuser, add 2-teaspoons of the loose leaf from the pouch. Add hot water (80-90°C/176-194°F) and steep between 4 and 5 minutes. Remove tea ball or pour into a cup. Sweeten to taste. And, by the way, if you need some storage ideas for loose leaf teas, please make sure that you check out this article. Direct from the Jin Xuan Mountain in Taiwan comes this unique loose leaf Oolong tea. It is hand processed and organically grown. It is not a monkey picked Oolong tea. 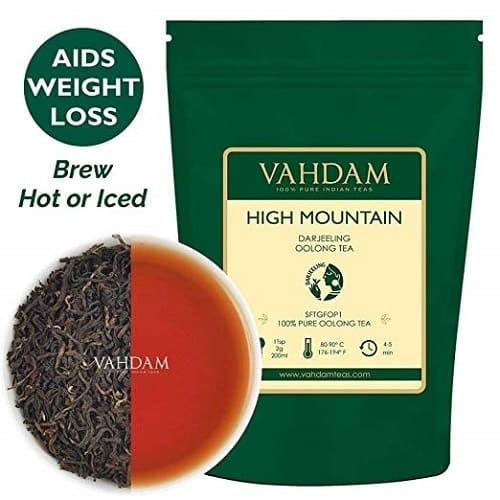 High altitude teas have a unique flavor that cannot be matched by another other tea variety. This particular variety is one such Oolong tea. With emphasis placed on time, temperature, altitude and soil conditions, once the leaves are harvested, they are steamed. The steaming process includes a combination of water and milk powder, and then the leaves are heated and dried before packaging for the market. 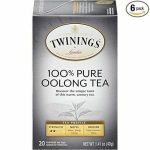 This loose leaf Oolong tea has a naturally creamy, milk flavor and is accompanied by a silky texture. The fragrance is described as milky sweet that extends into the taste. The leaves produce a pale yellow infusion that you will never forget once you try it the first time. To brew, use a tea ball or tea pot with infuser and add 2-teaspoons of the loose leaf from the pouch it comes from. Add hot water (80-90°C/176-194°F) and steep for no less than 4-minutes and no longer than 5-minutes. Remove tea ball or pour into a cup and sweeten to taste. This is a high elevation Oolong tea produced at above the 2,500 foot level in the Tung Ting region of Taiwan. 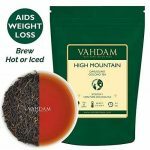 In the tradition of high altitude teas, weather, soil conditions, and timing all play crucial roles in the flavor, taste, and color of the final product. Because of the geographic region these Oolong tea leaves are grown, they create a unique one-of-a-kind tea beverage. Fog and low cloud cover each morning and late afternoon is said to produce ideal growing conditions for this particular variety of Oolong tea. 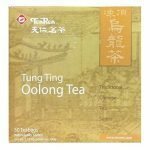 This Tung Ting Oolong tea variety produces a golden/green color with a mild and smooth floral taste. It is accompanied by a strong but sweet flowery aroma. The tea finishes with a pleasant and lasting after taste that can only be produced in high elevation terrain. To brew, place a tea bag in a 6 – 8 ounce cup and add hot water (85-90°C/185-195°F) and steep for between 2 and 4-minutes. Remove tea bag and sweeten to taste. To drink iced, pour 2-cups of hot water over 6 bags, steep for 10-minutes and remove tea bags. Add 2 cups cold water and serve over ice. Oolong tea in a capsule? 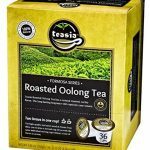 Yes, it is true and Teasia has created a pod-like container of Oolong tea that can also be used in your Keurig K-Cup brewer. They also are compatible with most any other type of single serve brewer – check instructions to be sure. 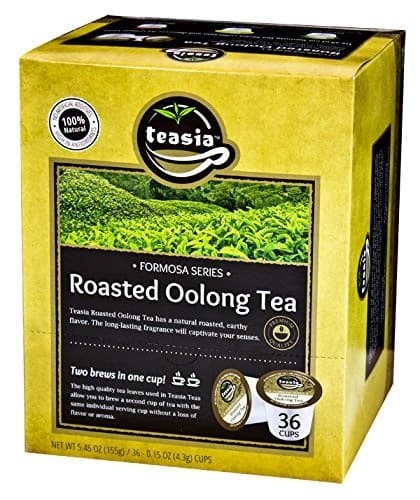 This roasted Oolong tea is all natural and has no artificial additives. 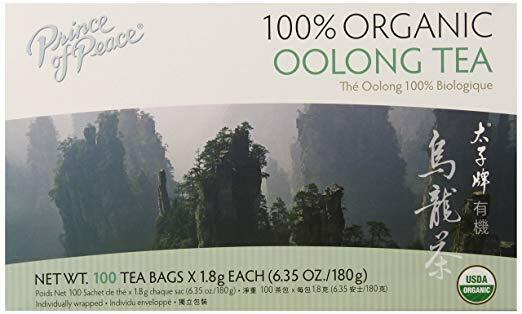 The tea leaves used to produce this Oolong tea are grown in Taiwan and the roasting process produces a natural, earthy flavor combined with a long-lasting fragrance and overtones. This is one of the easiest types of Oolong tea to brew. You just fill your brewer with water, insert the capsule and once water has reached the proper temperature it will be forced through the capsule to a carafe underneath it. To drink iced, add cold water to the finished brew and pour over ice. 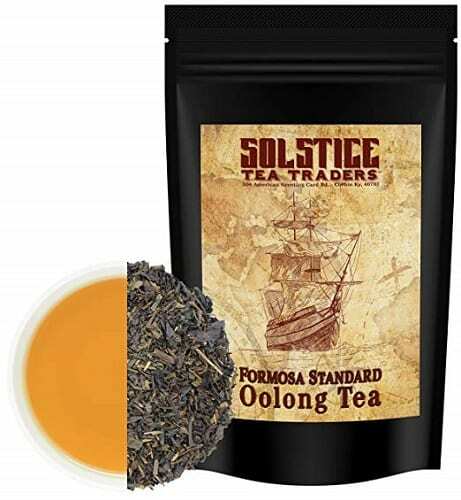 This Formosa Oolong tea is produced in Taiwan and happens to be the standard variety served as the house tea in several high-end restaurants in China. It has a natural, earthy flavor. This is enhanced by a matching fragrance that is long-lasting and pleasant. It is one of the best Oolong teas for weight loss due to the high antioxidant content. To brew this variety of loose leaf Oolong tea, place 2-teaspoons in a tea ball or teapot with infuser. Add hot water and steep for between 2 and 4-minutes. Remove the tea ball or pour tea into cups. Sweeten to taste. To drink iced, add cold water and pour over ice. After the tea leaves have been harvested, they are spread out indoors or in the sun outdoors. This softens the leaf cell walls and pulls moisture out of the leaf cells to evaporate. This begins the natural enzymatic fermentation of the tea leaves. Machines are used to ‘shake’ the now dried tea leaves. The action breaks them down which mixes the chemical elements that exist in the stems with that of the leaves. 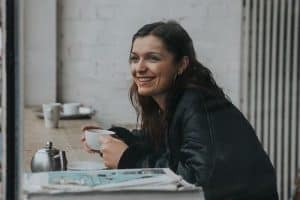 This improves the oxidation and balances tea flavor by removing bitterness. The leaves are left alone at this point to allow for them to continue the fermentation process. It is at this point where tea masters decide on how much time the leaves can be left to oxidize. The amount of oxidization will impact flavor. The leaves continue to break down during oxidation and can turn to a dark green or possibly a reddish tint. This is also the point in the processing where the tea leaves will develop taste characteristics that can range from flowery or fruity to grassy. Steam is used in various methods to halt the natural fermentation without damaging the tea leaves. Hand pressing with a hot pan and baking the leaves are other methods used to “kill (the) green(ing)” associated with fermentation. Hot or cold rollers are used where the tea leaves are passed. This breaks them down further and will establish what shape the leaves will end up with. The shaping of the tea leaves will have an effect on the tea flavor and is usually selected by the tea master during this step. By using one of many different drying techniques, ranging from pan heating and hot air to sun drying, this step establishes the final moisture content of the tea leaves. This process also stops fermentation, prevents mold development and eliminates any grassy taste from the leaves. A fruity or smoky flavor is added to the leaves through the roasting step known as firing. Leaves are roasted in a basket or pan with either electric heat or charcoal to finish them off before packaging for the market. 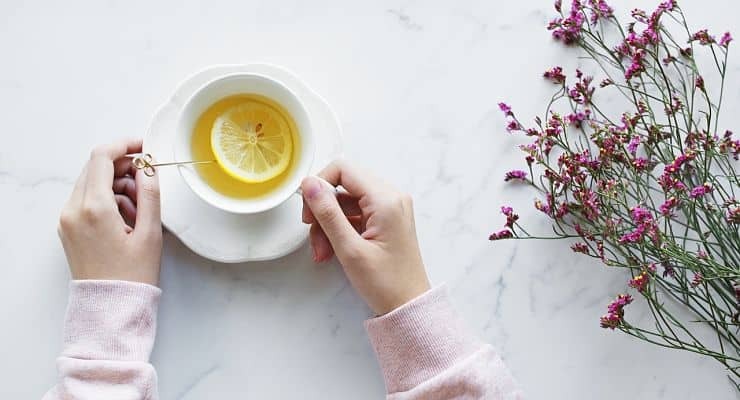 The history of tea dates back to 2,000 BC when it was common for residents in the Yunnan region of China to eat raw tea leaves from the Camellia sinensis plant. They began boiling the leaves to make a hot beverage in 1,000 BC. By 25 AD sun drying became a method used to prepare the tea leaves for consumption. It was in the year 600 when semi-fermented tea was developed in the Fujian region of China. Steaming techniques were developed for green tea around the year 700 and tea was introduced to Japan in 815. Green tea was first fermented in 1100 and that led to the establishment of the first tea houses in China. White tea soon followed and in 1271 the Royal Tea Baking Department was formed by the Yuan Government. In Fujian, oxidized black tea was developed in 1368. Within 30 years, semi-fermented tea is developed in the Wuyi region of Fujian. The tea explosion took traction in the 1500’s and 1600’s when traders from other parts of the world arrive in China and export tea to their homeland. In 1725 Oolong tea is developed in the Wuyi region with Silver Needle Pekoe White Tea following 40 some years later. Later in the century, the British trade Indian grown opium for tea and Oolong tea is introduced to Taiwan. Over the next two centuries, many varieties of tea are developed including Silver Needle White Tea in 1885 and White Peony White Tea in 1922. China exports their first white tea in 1968 and the development of Black Pu-Erh Tea takes place in 1973. China and Taiwan are the leaders in Oolong tea production in the world. However, they are not the only places it is produced. India and Thailand contribute to the production of this product but not in the high volume that comes from China and Taiwan. There are three regions in China where Oolong tea is primarily produced. Darker Oolong teas come from the northern Fujian province and the Wuyi Mountains in particular. These Wuyi teas have a twisted leaf shape. In the southern Fujian province, Anxi country is another producer. Anxi Oolong teas are characterized by leaves that are tightly rolled into round pellet-like shapes. There are other oolong teas produced in regions near Anxi as well as the Phoenix mountain part of the Guangdong province. Smaller amounts of Oolong tea is produced in other parts of China. For an in-depth look at many of the other teas consumed and produced in China, click here. Taiwan is well known for Oolong tea production with several varieties produced. The Dongding mountain area in Nantou County is where Dongding Tea comes from. It has a short fermentation process and a 40-minute charcoal roasting that gives the tea a nutty, caramel and chestnut flavor. High Mountain Teas are the majority of varieties produced in Taiwan. Elevation plays a large role with some Oolong teas grown at 1,000, 2,200 and 2,500 meters or more. The higher the altitude usually translates to a higher cost to purchase with 500 grams priced up to $500 USD. India produces several tea varieties, most notably black teas. However, the Darjeeling region in West Bengal is known for a high altitude Oolong that has a unique flavor and aroma resulting from the topography. Darjeeling-like teas also come from neighboring regions. Thailand one of the top ten producers of tea in the world. Although the actual volume is far less than other tea producing countries, Thailand creates high-quality teas including Oolong tea. Some of these teas happen to be the most expensive ones produced. Oolong tea contains high concentrations of antioxidants. They also have many vital components that are vital to our health. In addition to Vitamins A, B, C, E, and K, there are many minerals including copper, selenium, potassium, carotin, calcium, and manganese in Oolong tea. Oolong tea is also loaded with detoxifying alkaloids, folic acid, and niacinamide. It is during the fermentation process when the tea is provided with polyphenolic compounds that contribute to health and wellbeing. Here is a list of many of the reported health benefits contributed to Oolong tea. The metabolism of fat in the body can be impacted by the polyphenolic compound found in Oolong tea. By drinking Oolong tea, the compound triggers specific enzymes that increase the body’s metabolic rate. Increased metabolism burns fat cells which in turn can lead to weight loss. 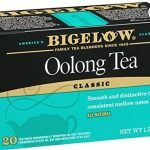 See this article for some more information on a study into Oolong tea consumption for weight loss. 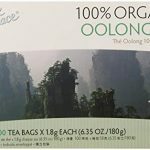 Another benefit contributed to the polyphenol molecule that is produced during the oxidation phase of Oolong tea, it activates many different enzymes. One such enzyme is lipase. Not only does this increased metabolism, but it also reduces cholesterol levels and promotes heart health. Read more here on a study performed looking at the relationship between cholesterol and Oolong tea consumption. Oolong tea helps to regulate how much blood sugar and insulin is present in the bloodstream. This prevents blood sugar variations that can be problematic for diabetics. 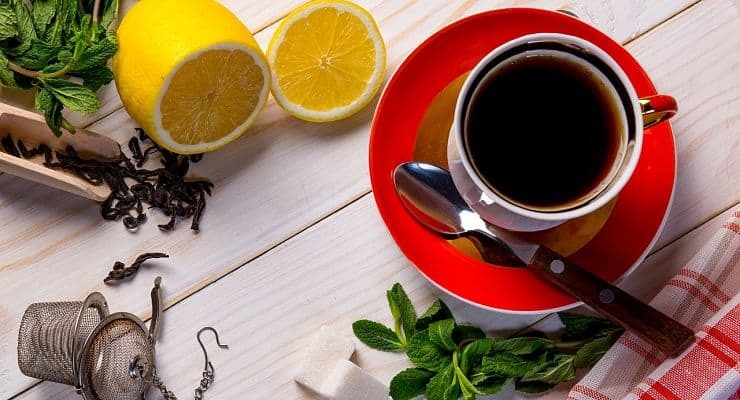 You can read more about the ongoing studies of tea consumption and diabetes risk here. As Oolong tea contains caffeine, you may wish to limit how much you consume. However, it is partly due to the caffeine where a cup of Oolong tea can help improve both your mental alertness and focus. Provided you are not sensitive to caffeine, Oolong tea can help with digestion. The tea alkalizes the digestive tract. This means that inflammation is reduced for those suffering from ulcers or acid reflux. The antiseptic property of Oolong tea can also remove bad bacteria from the stomach. By making use of the high concentration of antioxidants in Oolong tea, you can make a hair rinse that can prevent hair loss. Plus, the rinse made from the tea leaves can improve the appearance and health of your hair making it thicker, shinier and softer. Oolong tea can suppress the reactions that are triggered by allergies or sensitivities that lead to the development of eczema. This happens because of the antioxidants in Oolong tea fight free radicals. The antioxidants give you vibrant skin as a result slowing the aging process. Teeth are protected from certain bacteria by Oolong tea. What happens is that the compounds found in Oolong tea can inhibit the production of acid and bacteria growth. The acid and bacteria lead to plaque and the development of other forms of gum disease. The concentrations of magnesium and calcium found in Oolong tea leaves can protect your bones. When your body has enough of these minerals going into it, you are able to fight the early signs of osteoporosis and retain proper bone density as a result. Oolong tea contains anti-cancer properties resulting from the antioxidant flavonoids in the leaves. These flavonoids prevent cellular damage because they help to strengthen your immune system. A strong immune system is able to fight off infections more effectively. If you are in need of a natural stress buster, Oolong tea may be your answer. The polyphenols and other nutrients are responsible for blocking receptors in the brain. The blocking action reduces the excitement inducing activity triggered by cortical neurons which reduce stress. Unless it has been decaffeinated, Oolong tea contains caffeine. However, the amount of caffeine is dependent on a few factors. They include the specific plant variety and how long the leaves have been left to age. Generally speaking, Oolong tea contains less caffeine than black but more than green teas. But as noted above, this depends on the specific Oolong tea variety and brand. Weather conditions have a lot to do with the final results in the production of Oolong tea leaves. 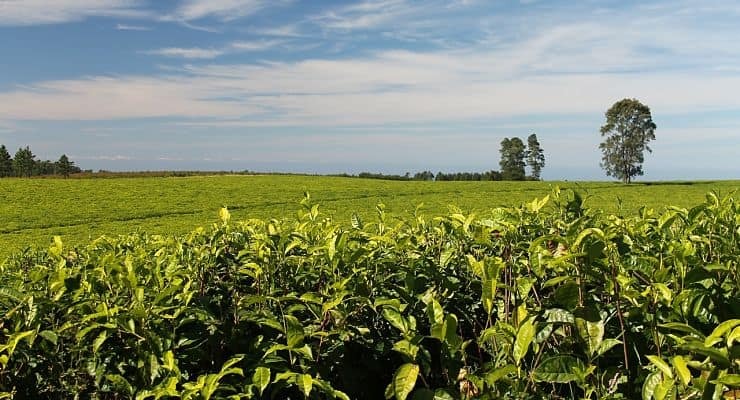 Tea quality can be affected considerably by extreme shifts in temperature and rainfall as harvest time draws near. Weather conditions during harvest can also impact flavor and quality. There are seven primary Oolong tea flavors. Of those seven flavors, there are many variations. 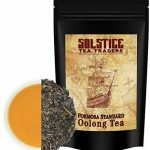 This is a list of the flavors matched to the specific variety of premium Oolong tea with a description of the different flavor notes to help you discover the vast selection of teas available. Dragon Pearl Jasmine – Rich flowery taste…rich perfume fragrance. Tie Guan Yin – Sweet taste, flowery fragrance (spring harvest)…complex flowery taste, light fragrance (fall harvest). Phoenix Flower Tea – Full, rich flowery taste…full, rich fragrance. Taiwan Oolong – Fresh, slightly fruity and flowery taste…slightly fruit and flowery fragrance. White Peony – Smooth, creamy/buttery green taste…slightly flowery fragrance. Loong Jien – Fresh, green taste with slight nutty overtones. Pi Lo Chun – Smooth, rich green taste. Da Hong Pao – Rich, complex taste with green overtones. Young Green/Sheng Pu-Erh – Smoky character mixed with earth and grass taste. Golden Tips Red – Fruity with a touch of peach taste. Taiwan Oolong – Fresh, slightly fruity and flowery taste…slightly fruity and flowery fragrance. Silver Needle – Smooth, delicate and sweet flavor with fruity tones. Loong Jien – Fresh, green taste with slight grassy/nutty overtones. White Peony – Smooth, creamy/buttery green taste…slight flowery fragrance. Phoenix Honey Tea – Rich honey taste…rich honey fragrance. LapsangSouchong – Rich, smoky taste. Da Hong Pao – Light, complex smoky taste. Monkey Pick Tea – Full, smoky taste. 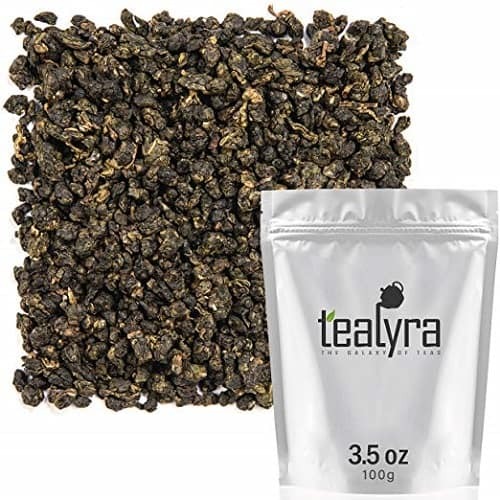 Pu-ErhGreen/Black Tea – Rich, smooth/earthy taste with complex overtones of dates, plums, chocolate. The normal shelf life of tea is about a year. That is provided you have stored them in a cool, dry location in an airtight container. As tea will absorb odors, be sure to store your containers away from anything that could transfer a smell or scent to your tea. Oolong teas can be stored in a refrigerator in an airtight container. This kind of storage will also improve the flavor of the tea over time. However, once you have stored your Oolong tea in a refrigerator, do not put on a shelf for extra storage as the flavor will be affected. 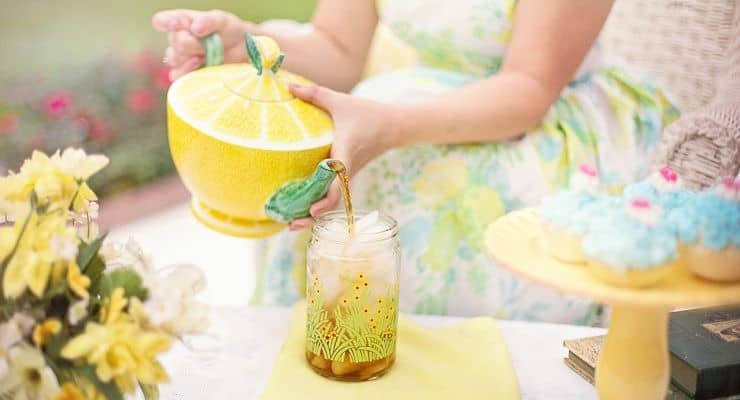 For some great loose leas tea storage ideas, please click here. Also, for some of the best tea accessories, including storage containers, please have a look at this article. This complete guide should be all you will need to help you understand the difference between Oolong, green and black teas. To summarize, the main difference is basically related to the amount of oxidation that is used on the harvested tea leaves. Because of the different processing methods, and the differences in regions and weather conditions that the tea trees are grown in, the quality and taste between different Oolong tea varieties and brands differ quite considerably. As such, you may want to try a few options to find the best oolong tea brand to suit your personal preference.